At Náis Italian Kitchen we love good food. 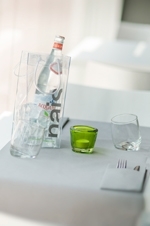 We take great delight in serving up the freshest gourmet North Italian cuisine in the city. After a time in the UAE and Italian hospitality sector, we recognized a gap in Dubai’s dining scene for essentially North Italian fare, our answer is Náis Italian Kitchen. With classic, well prepared dishes and stunning flavours authentic to the Piedmont region of Northern Italy, our menu can also be attributed to the original Náis, Marianna’s late mother, with some of the recipe served adapted from her original cook book.